LONDON: A man accused of shooting dead his heavily pregnant ex-wife with a crossbow may face trial next year. Sana Muhammad 35, died on Monday after the attack in Ilford, east London. Her son was delivered safely. Ramanodge Unmathallegadoo, 50, formerly of Applegarth Drive, Ilford, has been charged with her murder. 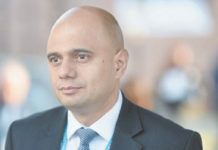 During a hearing at the Old Bailey, the defendant, who has yet to enter a plea, was told a provisional trial date of 8 April 2019 had been set. A plea hearing on 6 February was also scheduled. Appearing via videolink, Mr Unmathallegadoo spoke only to confirm his name, age and British nationality when he appeared in court. Mrs Muhammad, formerly known as Devi Unmathallegadoo, was eight months pregnant when she was attacked at her home in Applegarth Drive. She was taken to hospital with an abdominal wound and pronounced dead at 11:00 GMT, less than four hours after the attack. Her son was delivered by Caesarean section and “remains in a stable condition in a critical care unit”, police said. A trial would last two weeks, Judge Nicholas Hilliard QC told the court. Meanwhile, Ilford North MP Wes Streeting has demanded a crackdown on crossbow sales following the brutal killing of a heavily pregnant mother in his east London constituency. 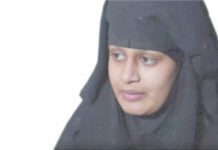 At Prime Minister’s Questions on Wednesday, Mr Streeting called for tougher crossbow laws after Sana Muhammad was shot dead in front of her five other children in her kitchen on Monday. Medics managed to deliver her baby, who remains in hospital. PM Theresa May promised a review following the “terrible and tragic case”. Labour MP Mr Streeting subsequently told the Evening Standard he would seek cross-party support to expand the scope of the Offensive Weapons Bill, currently at committee stage in the Commons. He said: “It was clear during the early stages of the Offensive Weapons Bill there were issues over the sale of crossbows. We have seen they cause fatal injuries, so I really welcome what the Prime Minister said.